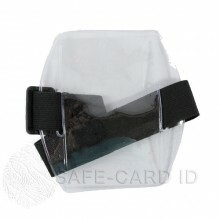 Keep your ID badge visible and secure with our armband holder. A vinyl ID badge holder with elastic strap ensures that your ID badge stays on your arm with a secure hold. This listing is for a package of 50 armband holders.